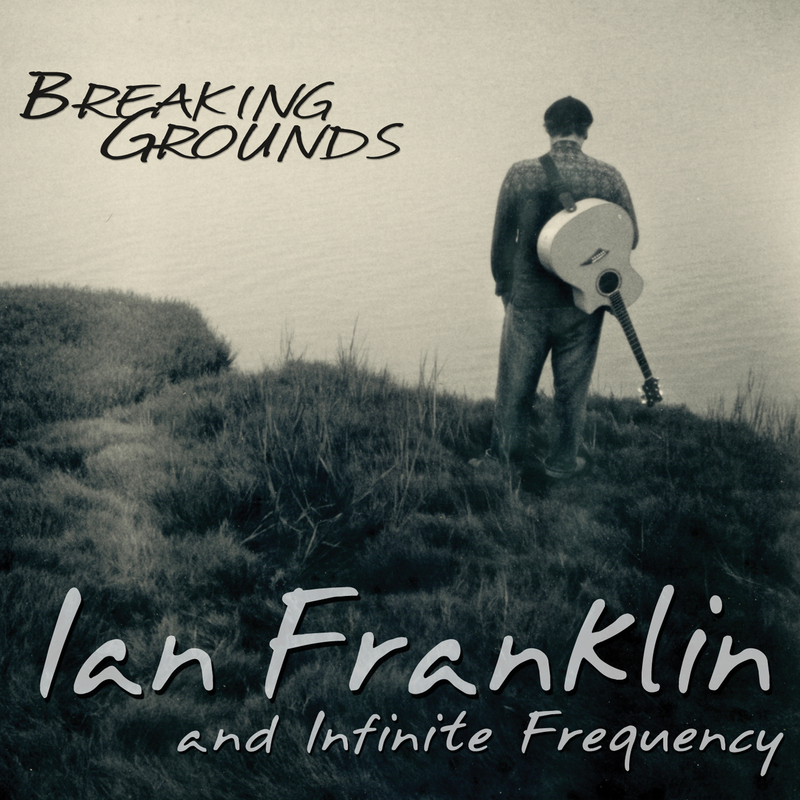 May 2, 2012 – San Francisco, CA – Singer/songwriter Ian Franklin is proud to announce the release of his debut album, ‘Breaking Grounds’. This new full length album is being released on the heels of his successful ‘Step By Step EP’ which was released in May of 2011. This release, for the Santa Rosa native, comes as a career high at the end of a near-decade of non-stop, whirlwind and frenetic coast-to-coast musical endeavors and evolution that have both educated and matured the young artist into a multi-faceted musical road warriorepreneur. The epic journey, from graduating the Berklee College of Music with Bachelor Degrees in both Music Therapy and Songwriting; forming, recording and performing with the lauded Boston-based jazz-funk/groove-rock band Infinite Frequency; touring the United States and California several times over and then establishing his San Francisco-based Music Therapy practice, ‘Breaking Grounds’ is truly Ian’s masterpiece. ‘Breaking Grounds’ features a cast of talented San Francisco musicians, and in true Bay Area spirit, there is no shying away from letting loose and jamming. The album takes the listener on a trip through psychedelic wailing guitar solos, horns pops (Adam Theis and Mike Olmos of Jazz Mafia, and Mark Growden), keyboard odysseys (Eric Levy of Garaj Mahal and Night Ranger), and more. The highly melodic and tight rhythmic interplay on this recording will harken the listener back to a time when musicianship, not just style, played an essential role in rock & roll. This album was produced by Ian Franklin and Ben Bernstein, who has produced many well-known projects, and played in a few different well known bands including New Monsoon. High praise indeed and with ‘Breaking Grounds’, Ian hopes to generate much more of the same enthusiasm. Franklin’s songs pull from his creative imagination, are often fueled by personal experiences and promote awareness about issues that he believes deserve attention or they simply provide joy and help relieve the stress of daily life. Promising diversely-inspired tunes influenced by a fusion of roots-rock, funk, jazz, blues and folk into a new genre he refers to as “Eclectic Pop-Rock,” ‘Breaking Grounds’ is the clear and defining next chapter in the musical growth and maturity of this exceptionally gifted singer/songwriter. ‘Breaking Grounds’ was recorded by Ben Bernstein at Spliggityfidge Studios, Emeryville, and Petting Zoo Studio, Oakland with final mixing being completed at Petting Zoo Studio in early 2012. Petting Zoo Records out of Oakland, CA will release Franklin’s new album June of 2012. Throughout the 90’s, Ian performed with many award-winning Sonoma County-based bands, honing his skills in the fusion rock-funk/hip-hop; Gollum, the Zappa-meets-Faith No More-infused; Cory’s Slug, and the instrumental ambient/tribal-rock outfit; Wish. His first-ever recorded solo project was in 2001 when Ian teamed up Frank ‘Side-Burns’ Sanders to record his live acoustic EP, Finley Swims. Constantly performing and creating, Ian, being the son of a Reichian therapist, and coming from a family of healers, is a private practice Board-Certified Music Therapist and Music Teacher who specializes in Geriatrics, Special Needs, Mental Health and Pediatrics. He maintains offices in Santa Rosa, San Francisco, the East Bay, and he works with clients throughout the Bay Area, as far south as San Jose.